Will Mitron turn out to be another comic success after Stree this winning season? Stree has turned out to be a surprise Blockbuster in 2018, what with a 100 Crore Club calling. With the film’s comic quotient really working well with the audience, it has indeed been great going for the industry. Now in a week’s time from now, another comedy is set to hit the screens in the form of Mitron. “This one has Jackky Bhagnani in the lead and if the promo is any indication, he has indeed let his hair down. His deadpan comic style did make a good impression in Welcome to Karachi as well. Though the film wasn’t seen by many in theaters, on the digital medium it has found some good traction coming its way. Now that he is returning with Mitron on the big screen, there are good expectations of an entertainer in the offering,” informs our source. The success of Stree, with Rajkummar Rao in the lead role, has further reaffirmed that it is the story quotient and treatment that attracts audiences when packaged well. 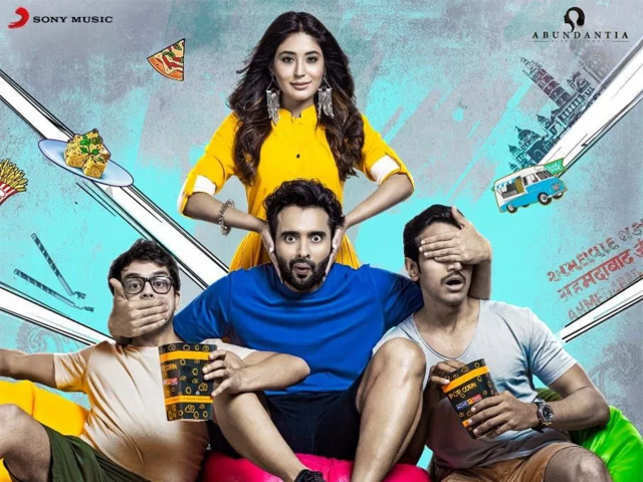 Moreover, this one too has a similar setting as Stree where there is a bunch of three friends (led by Jackky) pairing up with the leading lady Kritika Kamra. “Mitron is aimed at the youth segment. It is a clean comedy and also remake of a successful South film. It is all about catching fancy with the audience. If that indeed happens over the weekend and the word of mouth starts spreading, Bollywood could well be getting yet another comic success up its sleeves,” a trade guru adds. With Nitin Kakkar (of Filmistaan fame) as the director and Vikram Malhotra (of Abundantia Entertainment) producing the film, one waits to see what does the team have to offer once Mitron arrives on 14th September. 16 queries in 0.657 seconds.